It was a real sunny day when I decided to wear my spun kurta in blue & pink with white ribbons to walk through the narrow lanes of Old Delhi. We boarded the metro from INA and after 7-8 stops, reached Chawri Bazar and took a rickshaw ride full of the hustle bustle and the food making activities on the way which were happening- kulfi, tikki, fruit chaat, garam dudh in kulhad & fruit chaat. 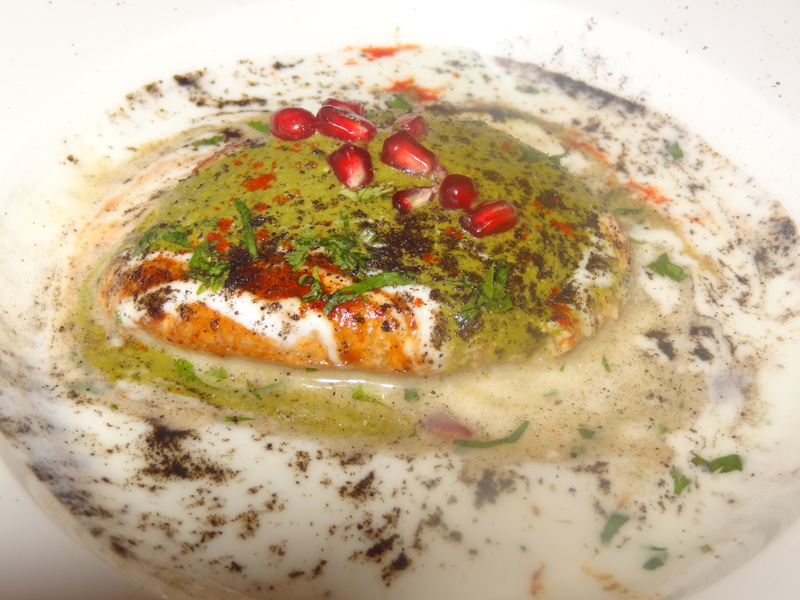 It was amazing to see the food flavours of Old Delhi. 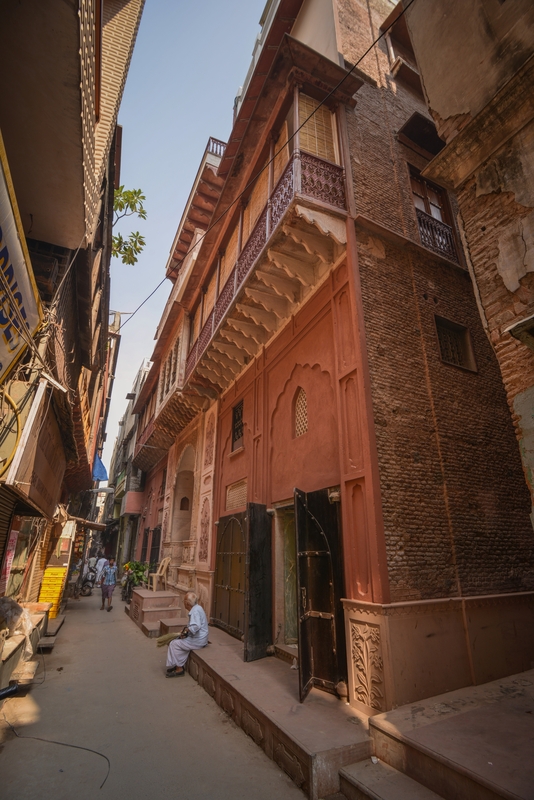 I just kept gazing till we reached the Police Chowk and went to Gali Gulliyan there to reach our destination HAVELI DHARAMPURA amidst the small shops stocking necessities & the lane full of people. We were greeted by Vidyun Goel, daughter of Vijay Goel, the restorer of Haveli Dharampura who ensured that our experience was wonderful. 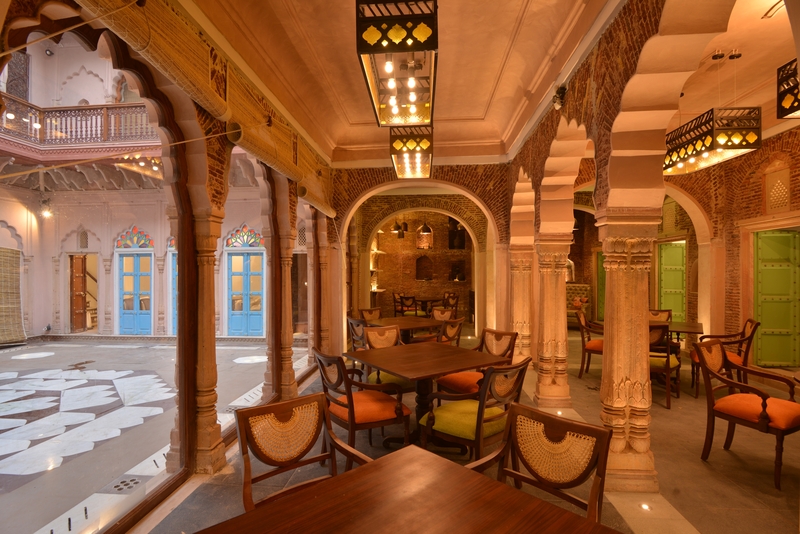 Now to talk about the restorer, Vijay Goel who is responsible for recreating the magic & keeping the beauty of the Haveli still so real & beautiful, the culture, the heritage, the reflection of the Shahjahan’s era. 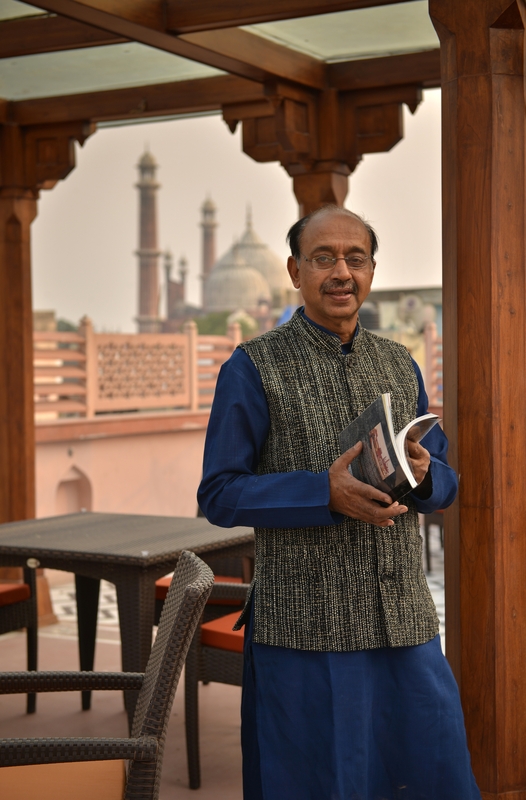 Vijay Goel is currently a Rajya Sabha member & earlier represented Chandni Chowk in Lok Sabha and is an ardent lover of Indian culture & heritage. He was honoured with the sur-sadhna award for his contribution to culture, heritage & development. Also a folk & ghazal singer, a Tabla player with interest in photography and author of “The Emperor’s City”, he re-discovered the lost elements of Chandni Chowk through his book plus six years of long wait to see the majestic & beautiful haveli, what it is today expressing the deep gratitude to Mr. Kapil Aggarwal, the esteemed & talented architect who partnered him for this task for particularly endearing & holding on to transform all his ideas into reality. So beautiful, captivating & enchanting! The 600 sq. 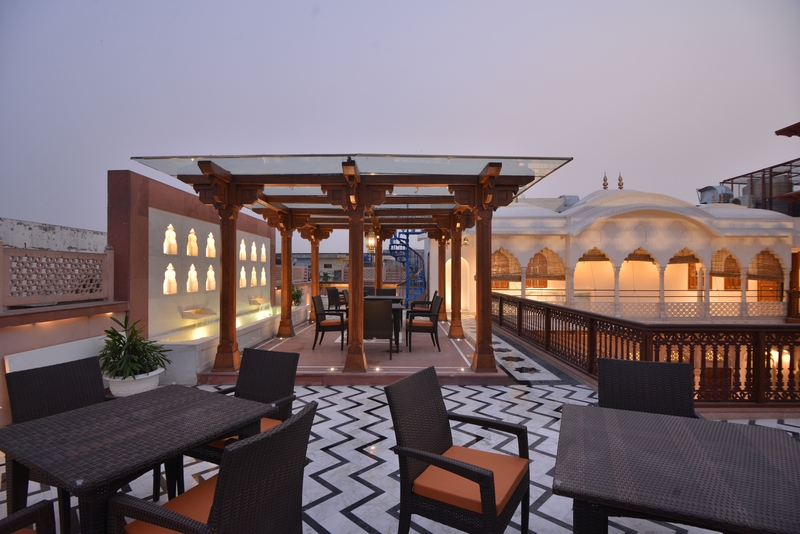 yards built Haveli is attributed as Late Mughal style with 13 rooms available for staying and beautiful kathak performances happening in the evening, the dancers & artists performing their true art for the leisure time. There is also a couple spa room for the couples to enjoy some relaxation & rejuvenation. 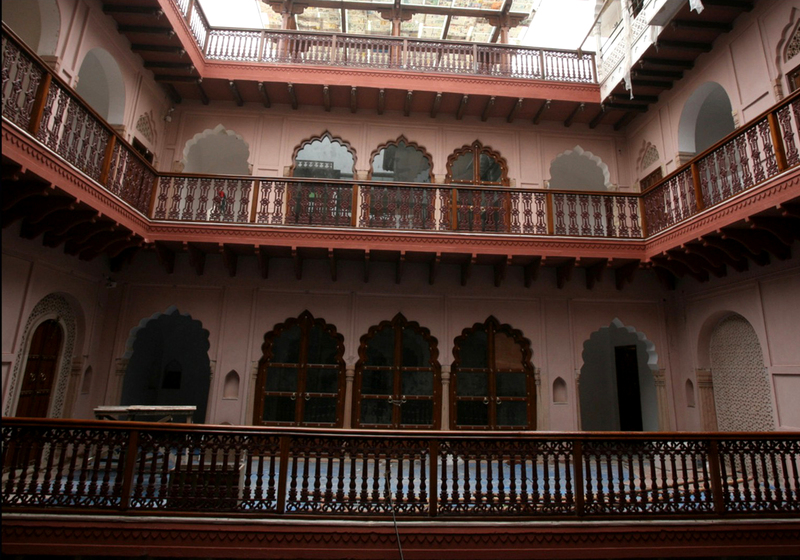 The restoration of this haveli is done by local artisans from Red Fort. 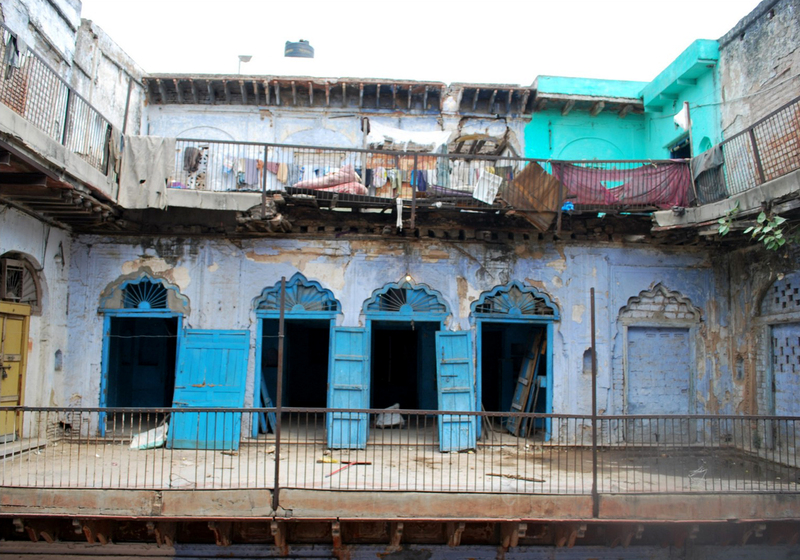 There are old pictures outside in the open area of the Haveli while it was being constructed. It grew from a broken structure which is now a tall, fine & alluring structure. From the terrace, we can see a view of Jama Masjid, Red Fort, Gurudwara Sis Ganj, Lal Jain Mandir, Gauri Shankar Mandir, St. James Church & Railway Station. 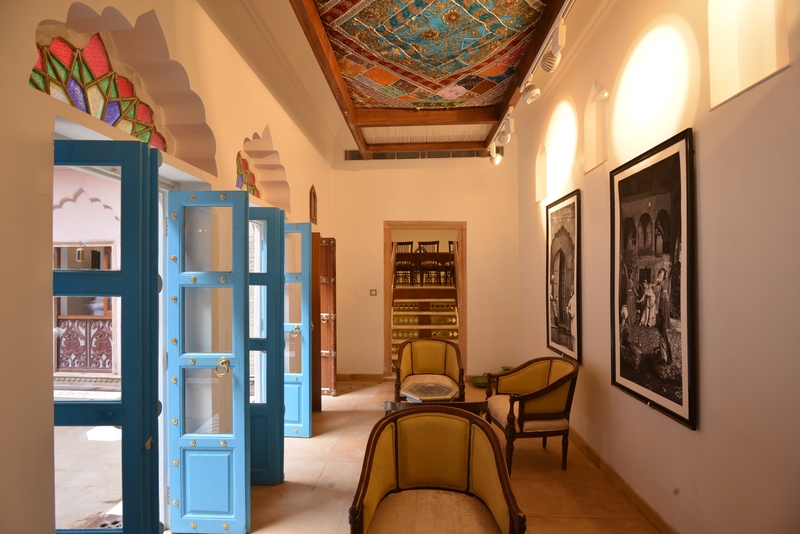 The Heritage library houses books on Chandni Chowk, Indian handicrafts, India’s culture, traditions, history & all the love of India inhibited, settled & deposited in the wonderful Haveli in these simple & coloruful books. 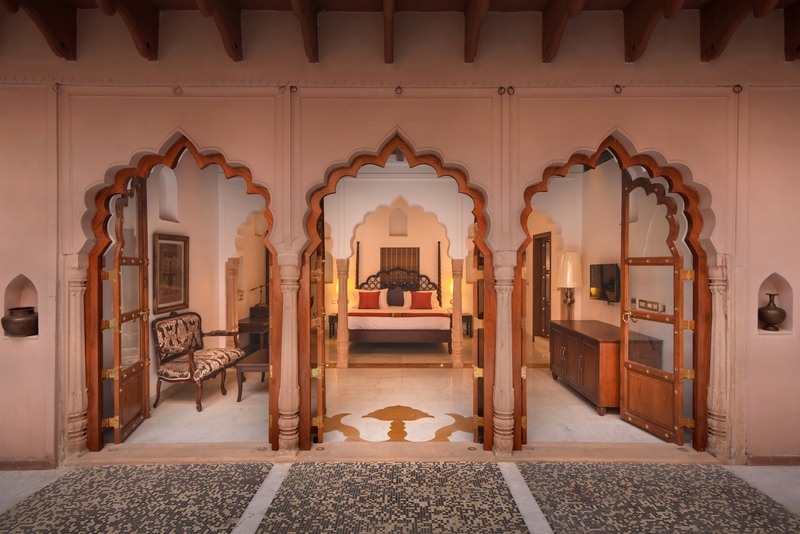 The Art Gallery is located adjacent to the courtyard & has amazing black & white pictures of the olden days, the games, the nritya (dances) being depicted by such beautiful enlarged paintings with the chunar with zari work above our heads. It truly offers a pictorial experience of their journey. When I was settled at the dining table, I looked up the roshandaan to see big barrels of golden lamps being lighted together. 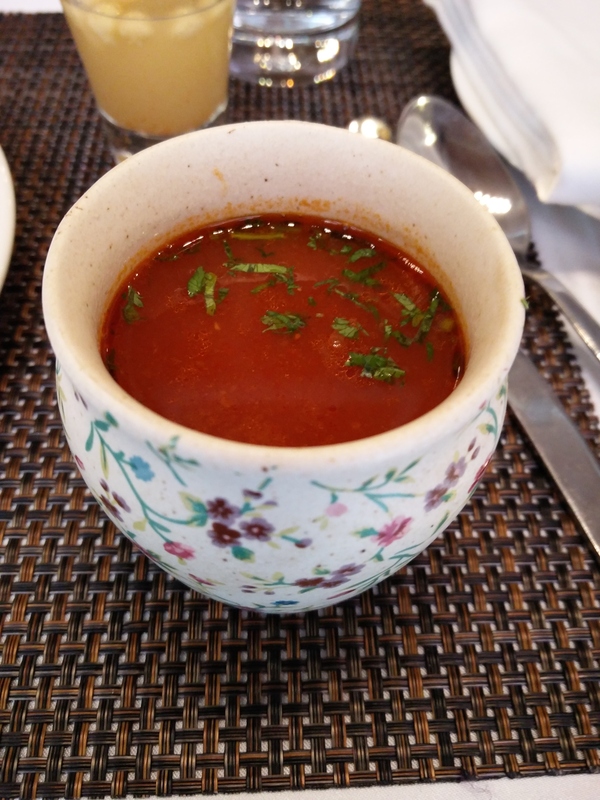 Coming to my food experience now at Lakhori, their restaurant with the concept of Modern Indian cuisine and combining artful presentations with tasteful Indian tadkas with an old ethnic ambience in a beautiful setting, we started with Tomato Shorba which was served in a cute flower cup. I loved the fine taste which actually made me warm. 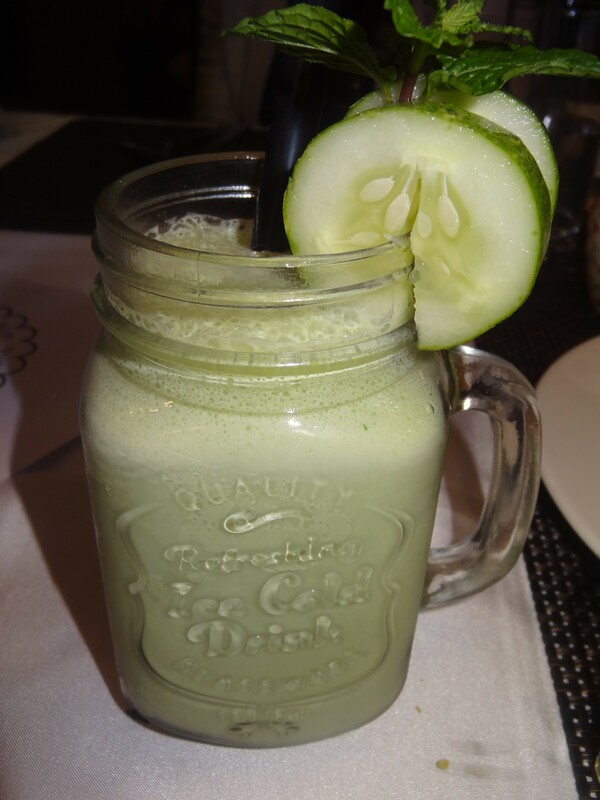 In the smoothies, we tried Medigrass which made of cucumber & had a really refreshing flavour and Berris Delight made of berries which was sweet & tangy. For starters, we tried the Cucumber Chat Canapés first. They were rolled cucumber sheets like a sushi. 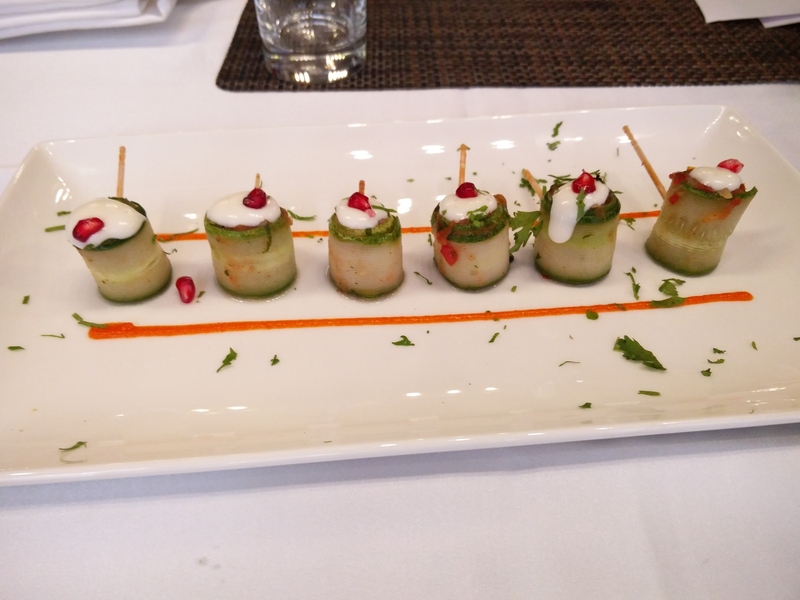 It was flavourful & the pomegranate topping the much needed taste to the already so yummy cucumber chat canapés. 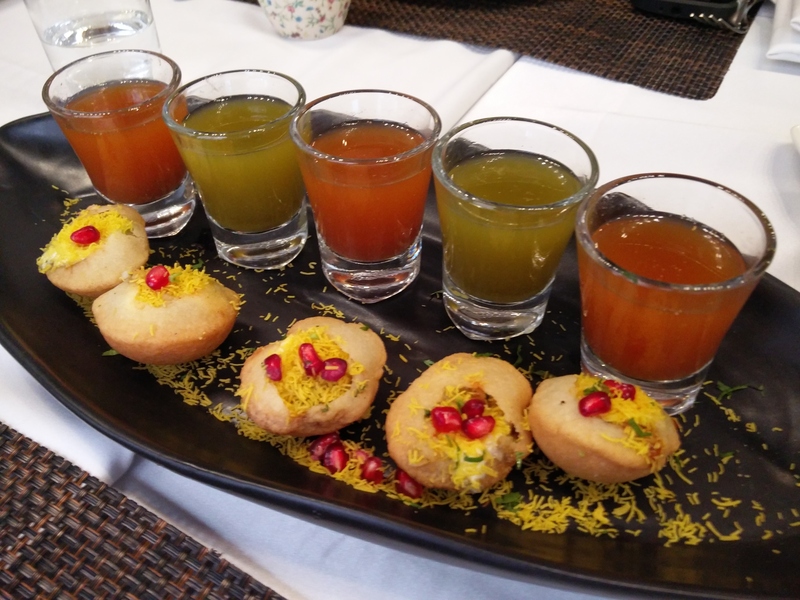 The Dahi Puri were served with shots of saunth & jaljeera paani. They were fresh, crispy & refreshingly good. 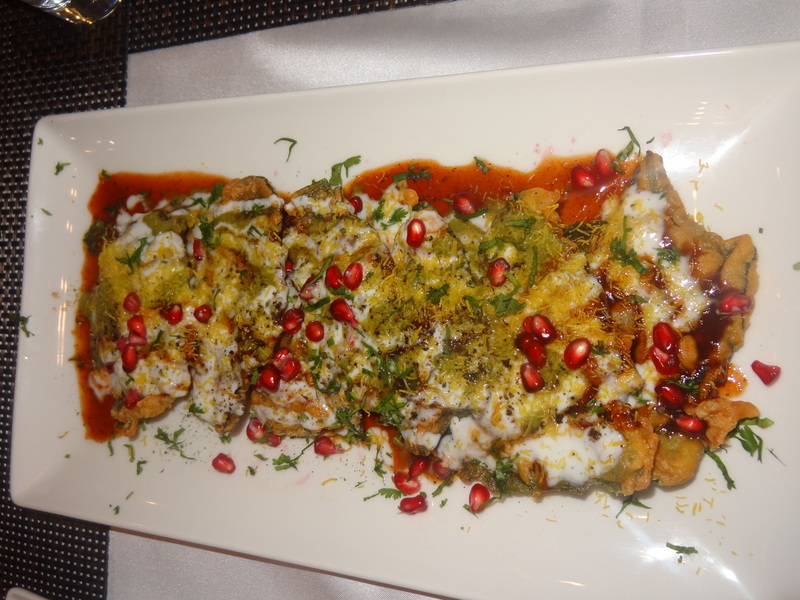 My personal favourite was the Palak Patta Chaat which was one thing I couldn’t resist at all. 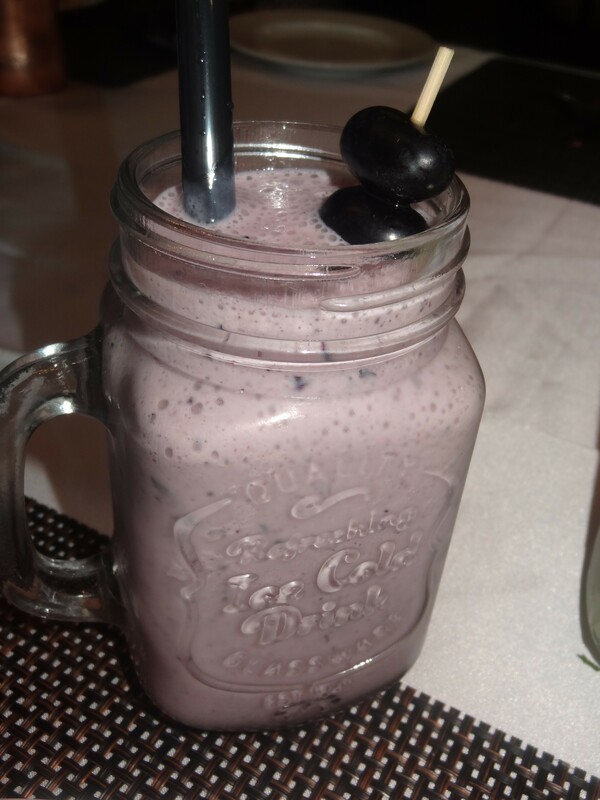 It was made with the perfect flavours & texture. Much recommended! 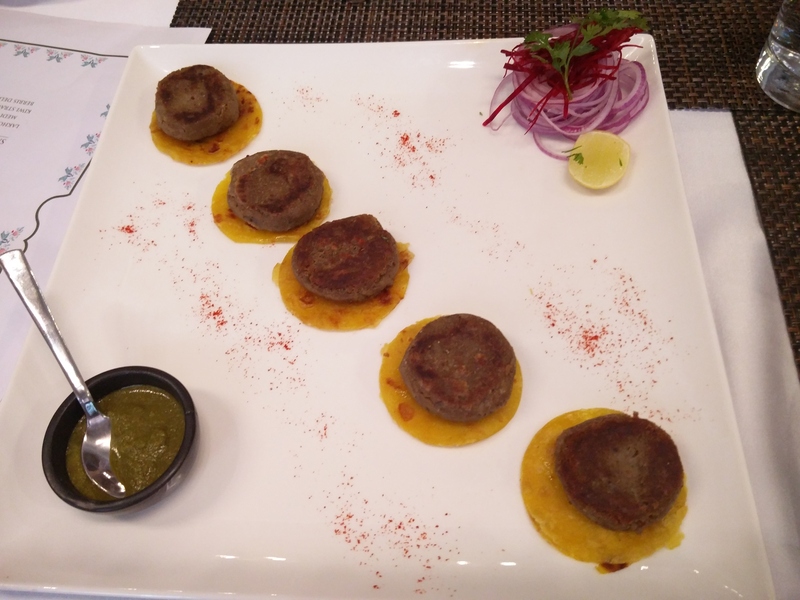 The Veg Gilouti Kebab were served with ulte tawe ka parantha along with ringed onions, beetroot shavings, coriander leaves, lemon & pudina chutney. They were nicely minced with the texture of the kebab very soft and just melted in the mouth. 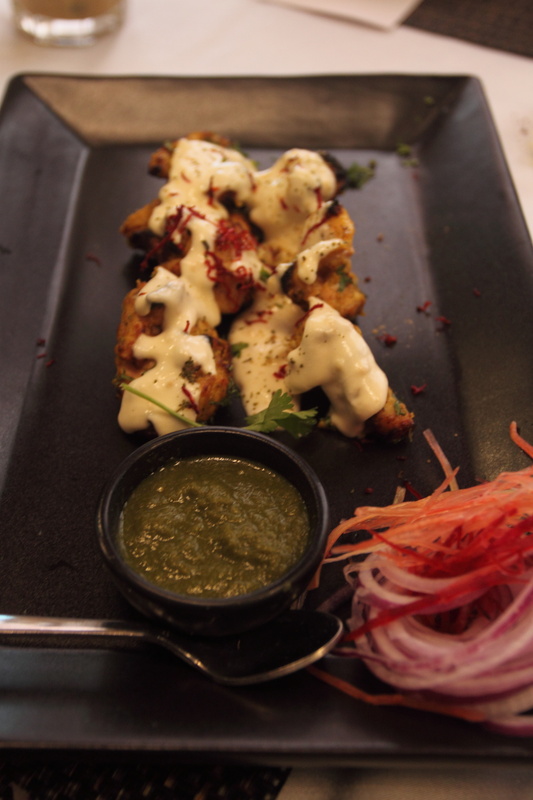 The Mutton Gilouti Kebab were equally good. Next was the Dahi Bhalla. They were made the Delhi 6 way and were amazing. I loved the presentation as well. 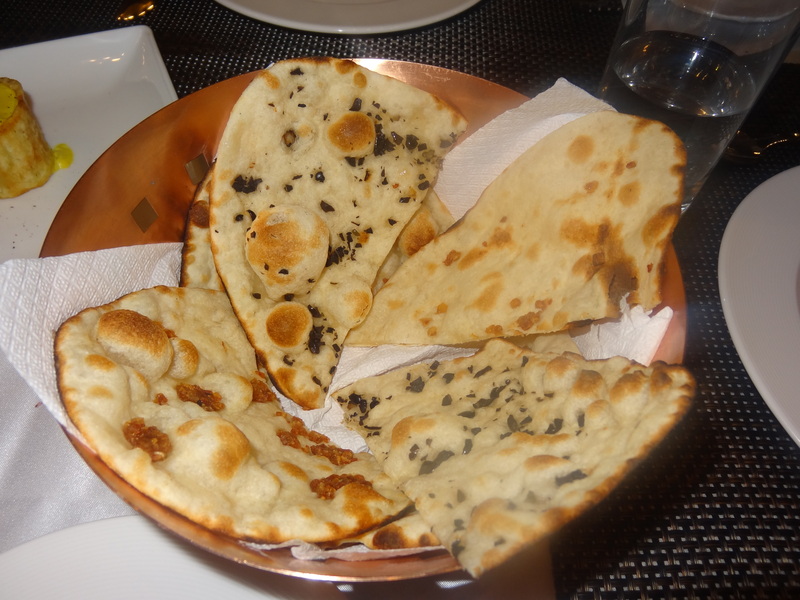 The Kadak Roomali Roti was a delight to look at. 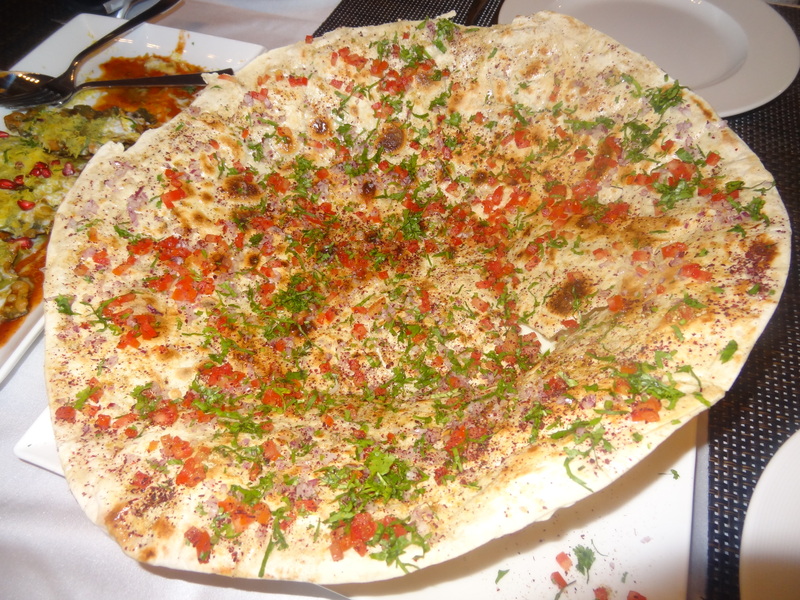 It was like a spicy masala papad with lots of coriander, tomatoes, onions & masalas. The Murg ke Paarchey were cheesy & well made. They were roasted well & were mildly spiced. I liked them. 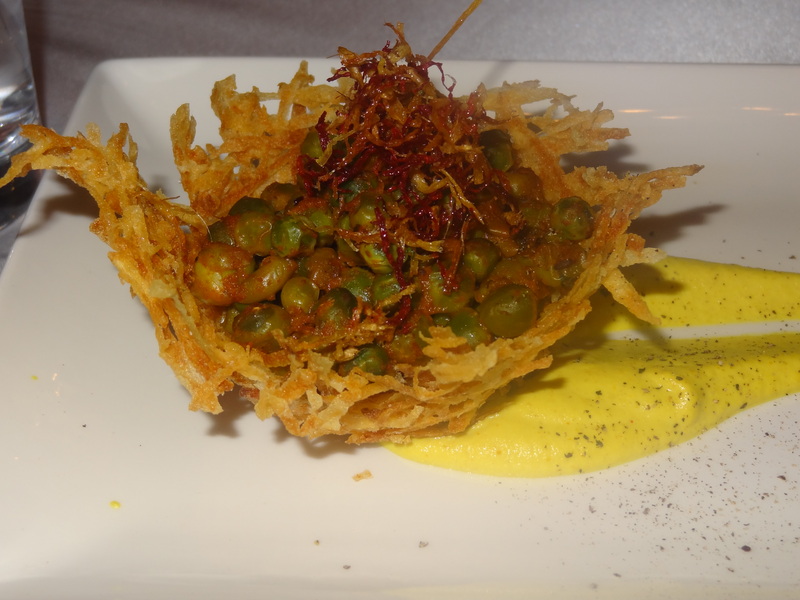 For main course, the Aloo Gobhi Deconstructed were very innovatively made. 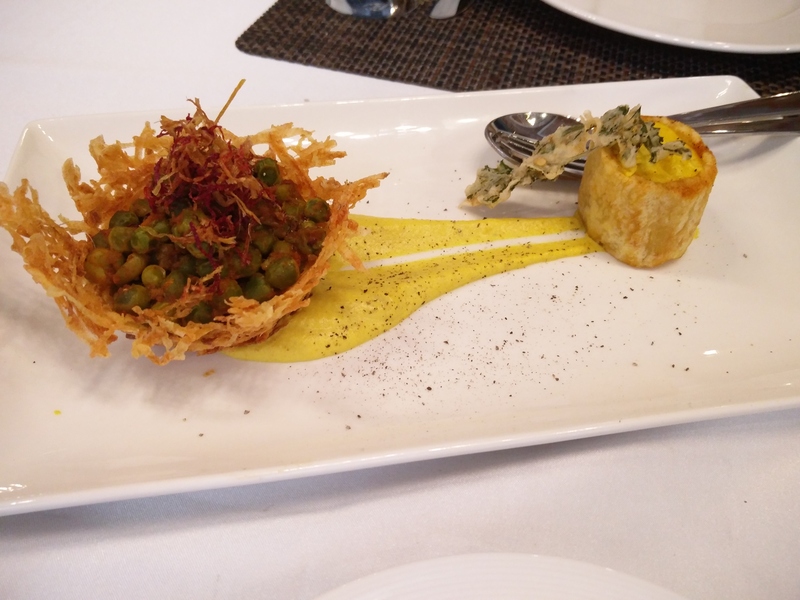 It had an edible basket with peas filled in it and a cylindrical fried potato filled with gravy. A must try for aloo lovers! 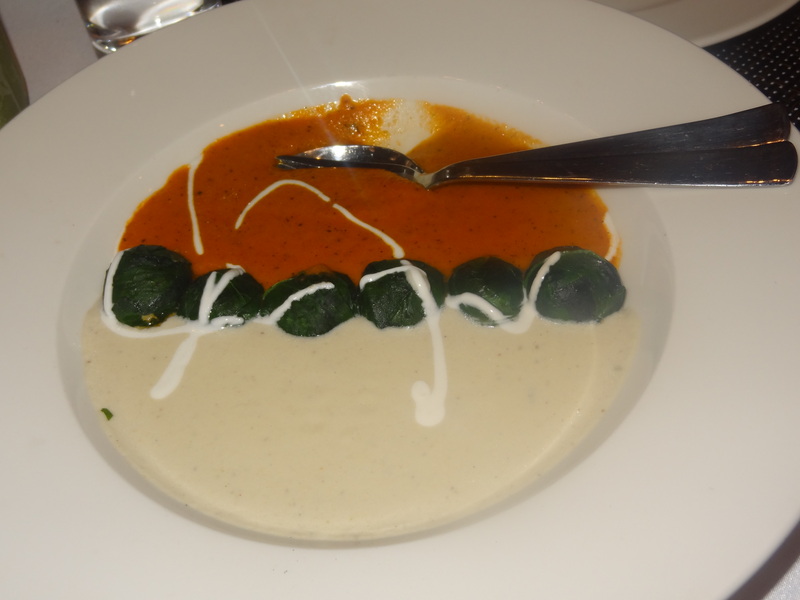 The Kofta Dogala was served with 2 gravies- one was tomato based & the other was cashew. The Koftas were basically spinach rolls rolled in paneer. A very impressive dish! 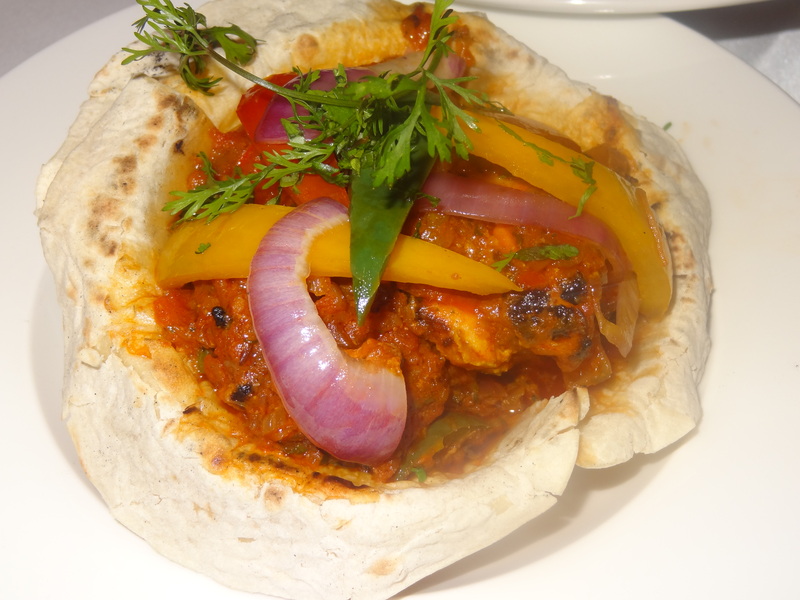 The Kadhai Chicken was tasty, just how it should be with the right amount of spices. The dishes were served with assorted baby breads which were nice, crisp & warm. 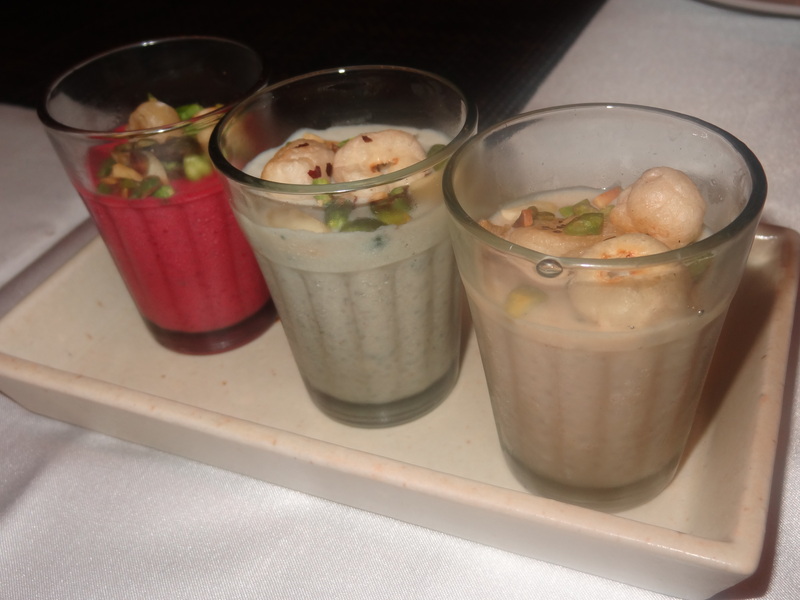 In the desserts, we tried the Kheer Trio wherein the 3 flavours Paan, Beetroot & Dates came in small shot glasses. My favourite was the Beetroot flavour. 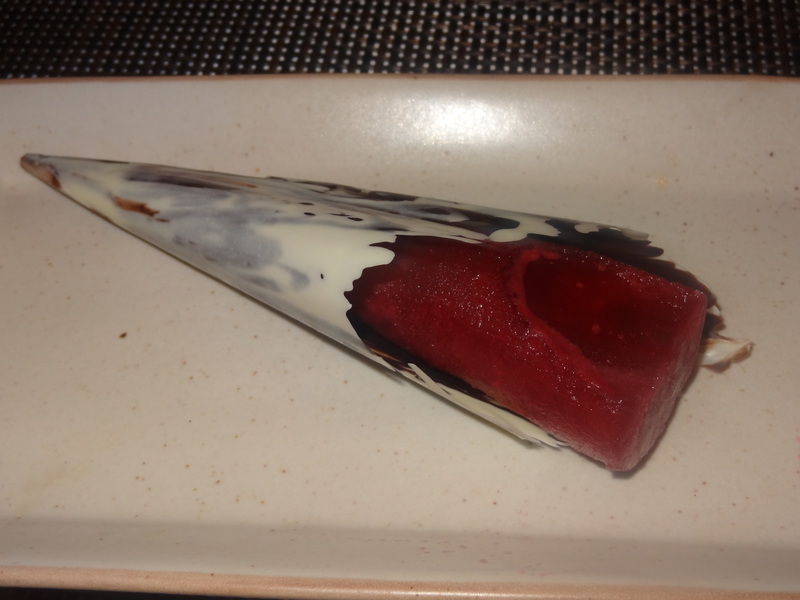 The Anaar Kulfi in chocolate cone was nice & tasted wonderful though it was a little hard to break. Other kulfis available were Mango, Paan & Rose.